Bryce National Park is a one-of-a-kind natural wonder of the world with its hundreds of red rock hoodoos which fill the amphitheaters of Bryce Canyon. 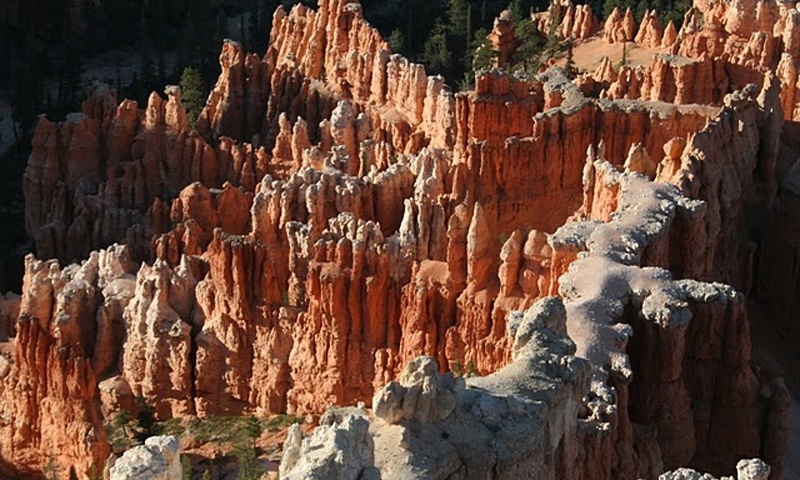 Bryce Canyon Utah is a series of amphitheaters carved by erosion from the Paunsagunt Plateau. It is not a true canyon but an area of red rock geological wonders created over millions of years. Weather erosion has shaped the Claron limestone, sandstone and mudstone into fins, pinnacles, buttes, spires, hoodoos, windows and arches. Bryce Canyon is in southern Utah, off SR 12 along Hwy 63. Admission fees are charged to enter Bryce National Park. Free shuttle transports visitors between the main viewpoints, or self-drive the 18-mile park highway 63 to Rainbow Point. 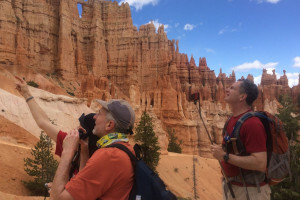 Bryce Canyon offers more than 12 hiking trails which are classed as moderate or strenuous, with interconnecting trails. The easiest hike is the 1-mile round trip from Sunrise Point to Sunset Point and the longest is the 23-mile Under-the-Rim Trail. Backcountry camping is allowed at the 12 campsites along the Riggs Spring Loop Trail and Under-the-Rim Trail. Bryce National Park is home to 59 species of mammals, 1000 plants, 175 bird species, 11 reptiles and 4 amphibian species. The collapsed arches have left oddly shaped hoodoos which have weathered at differing rates. The minerals and iron oxide deposits have created vivid red rock to add to the dramatic effect. Bryce Canyon was named after an early Mormon settler, Ebenezer Bryce. Complete your trip to Southern Utah by heading to the nearby Grand Canyon in Arizona.